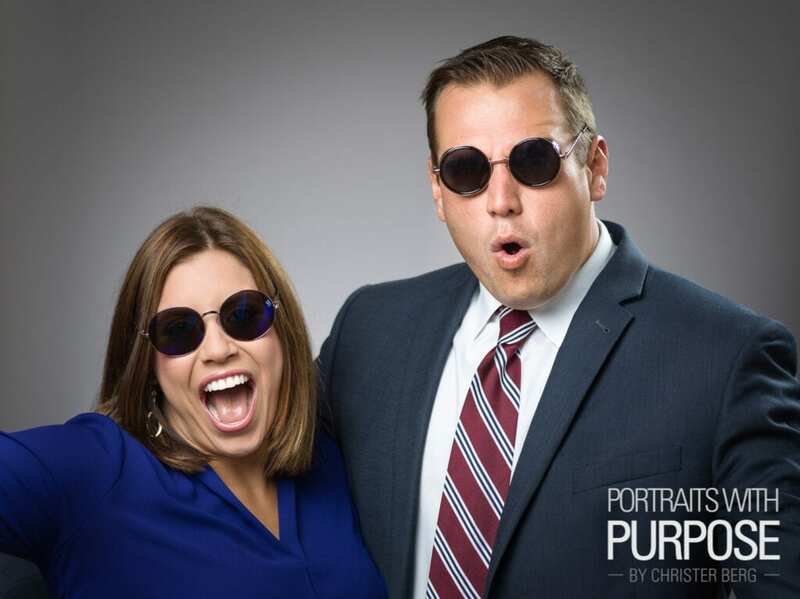 While the goal with having your professional portrait or business headshot made is a serious one, that doesn’t mean that it can’t be a fun, pleasurable experience. In fact, you will simply look better – relaxed and approachable yet competent – if you feel comfortable during the shoot. And let’s face it, most people are not used to be in front of the camera, or perhaps even dread it from having their picture taken, rapid-fire-conveyor-belt-style, back in grade school, so it’s important to not rush things and take the time to do it right, in a relaxed atmosphere. So while I see my job as 1/3 about photography and technical aspects such as lighting, it’s (at least) 2/3 about making you feel comfortable, trust that the result will be great, and that I will make you look your best. So if you, or your entire team, are looking to have business portraits made, be it in studio or on location, contact me today to discuss your needs. And if we can make some fun shots at the end of our session, like Lauren and Anthony above, all the better! “The Fabric of” Book – Available Now! Christer Berg Photography © Copyright 2018. All Rights Reserved.